Simon Bannerot’s raw footage from The Flare! 16 minutes of gnar! Dit bericht werd geplaatst in Girl, Lakai en getagged met girl skateboards, Lakai, the flare op 28 juli 2017 door admin. Last Thursday we had the premiere of The Flare in KINO, Rotterdam. We had a full house with skaters from all over Holland. Check out some photos by Thomas Wieringa below. Dit bericht werd geplaatst in Lakai en getagged met Lakai, the flare op 4 juli 2017 door admin. The Flare is coming!! 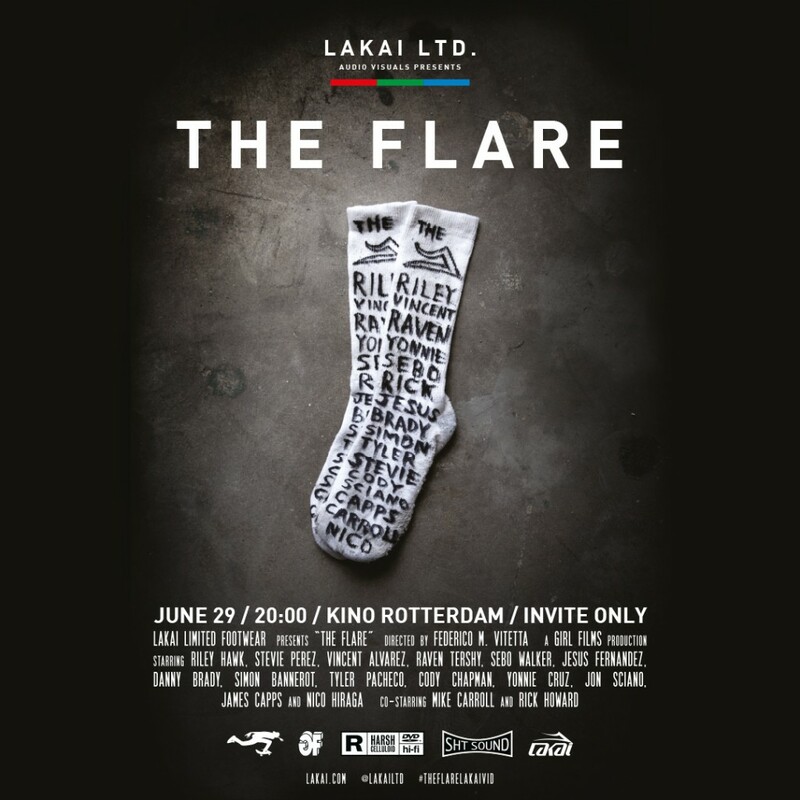 This Thursday the Dutch premiere of The Flare is going down at the beautifull KINO movie theater in Rotterdam! RSVP on Facebook for a chance to win tickets. Dit bericht werd geplaatst in Lakai en getagged met crailtap, Lakai, the flare op 27 juni 2017 door admin.